Among his many talents, 19th-century author Edgar Allan Poe might have been prescient: In 1843, he wrote “Lo! 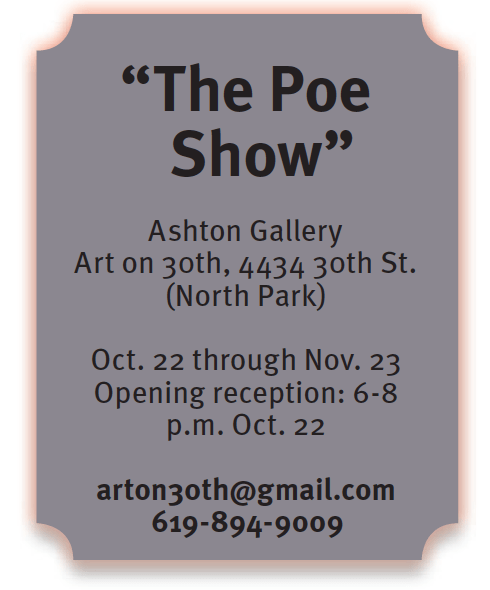 ‘Tis a gala night,” and behold: Oct. 22 will indeed be a gala night — when Ashton Gallery celebrates the opening of “The Poe Show” at Art on 30th in North Park. 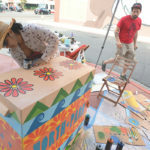 The opening reception, according to organizers, will present more than artwork. 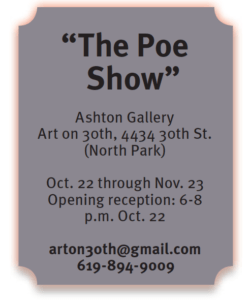 There will also be “poetry, short stories and all things Poe” — including an appearance by the author, returned from the grave to attend the show in his honor. 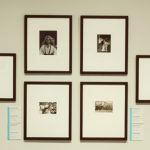 The exhibit was juried by Chris Semtner, curator of The Museum of Edgar Allan Poe in Richmond, Virginia. 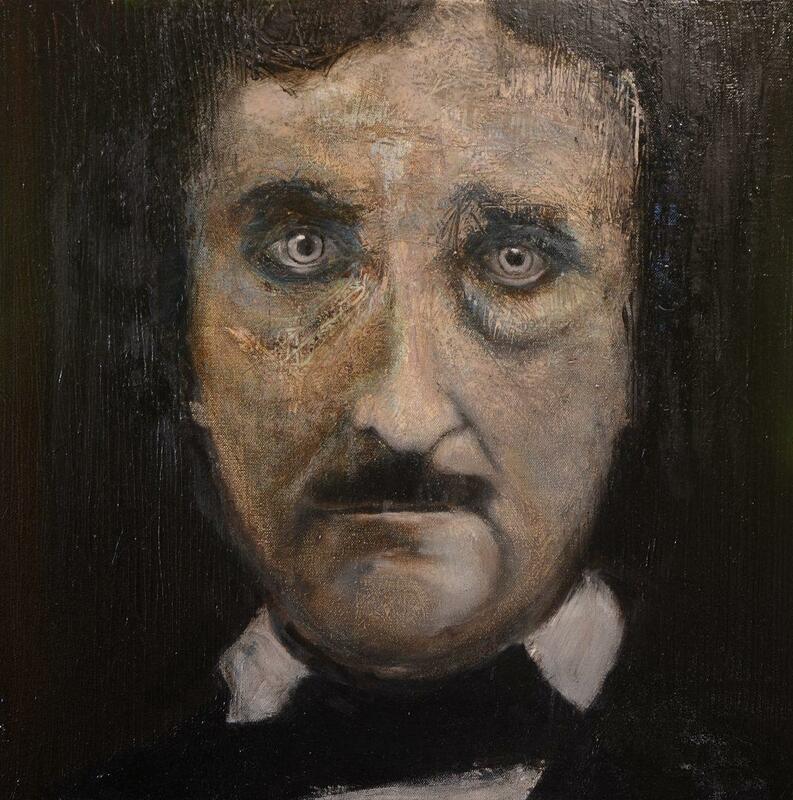 Semtner, who is also an artist, hoped to select works for the exhibit that reach beyond the imagery commonly associated with Poe’s well-read works. His writing is more eclectic than many readers are aware. In addition to his horror and macabre stories, he wrote comedy, literary critique and detective fiction. 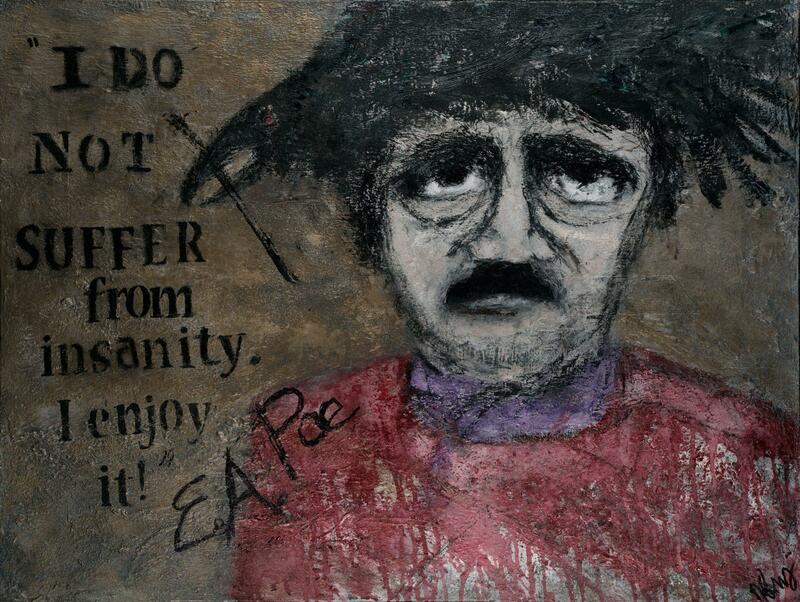 Painter Dawn Kureshy, who has a studio at Art on 30th, has been a Poe fan since her youth, and her submission to the show reflects both the macabre and the comedy. 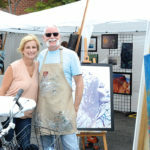 The exhibit’s call for submissions attracted the interest of artists from across the country, eager to explore Poe-etic expressions through the visual arts. Patrick Brown, who has one of his paintings in the show, was not only inspired by Poe, but has developed a fondness for the man behind the renowned writings. 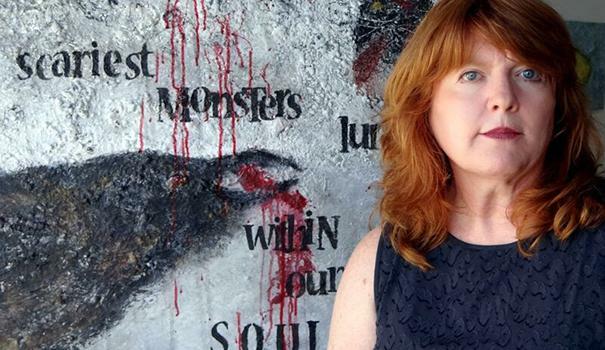 —Kit-Bacon Gressitt writes commentary and essays on her blog, Excuse Me, I’m Writing, and has been published by Missing Slate, Ms. Magazine blog and Trivia: Voices of Feminism, among others. She formerly wrote for the North County Times. 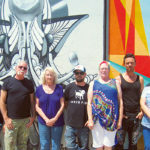 She also hosts Fallbrook Library’s monthly Writers Read authors series and open mic, and can be reached at kbgressitt@gmail.com. Great event but I wish I hadn’t seen the quotes attributed to Poe but the reality is he never said them. Kinda diminishes the effect.